Mjolnir: Whenever Erika causes a critical hit, the defender loses an action point and the attack causes Throw. 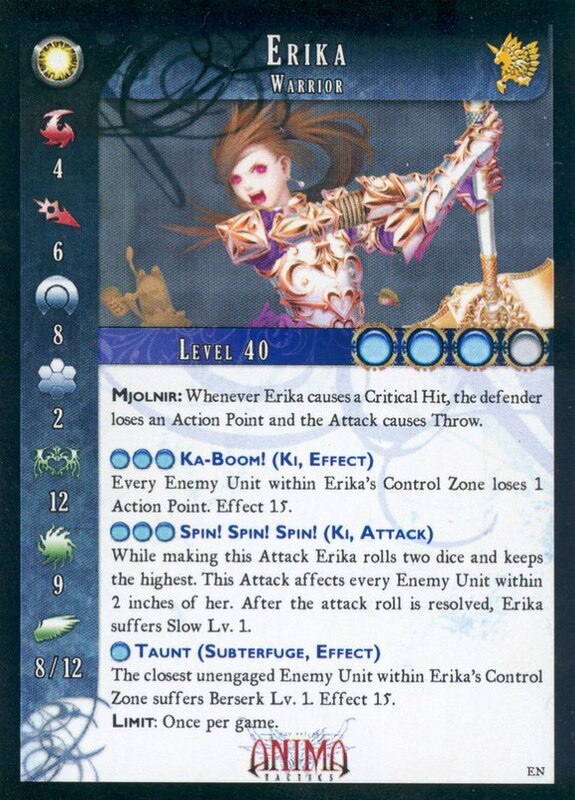 Every enemy unit within Erika's Control Zone loses 1 Action point. Effect 15. The closest unengaged enemy unit within Erika's Control Zone suffers Berserk Lv 1, Effect 15. Limit: Once per game. Impetuous and spirited, Erika is the youngest member of the Hand of the Empress. She wields one of the legendary weapons of the Sidhe. Though she is only 13 years old, her destructive power is on par with some of the best fighters in the world.